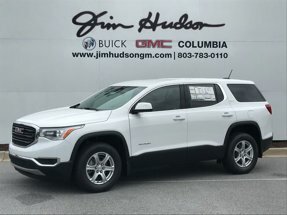 Description This outstanding example of a 2019 GMC Acadia FWD 4dr SLT w/SLT-1 is offered by Jim Hudson Buick Gmc Cadillac. Based on the superb condition of this vehicle, along with the options and color, this GMC Acadia FWD 4dr SLT w/SLT-1 is sure to sell fast. You've found the one you've been looking for. Your dream car.